in Paradise Bay, Urupukapuka Bay of Islands, New Zealand. New Zealand, Bay of Islands, December 29, 2015. About a minute after we dropped anchor in Paradise Bay, Urupukapuka a small motor boat approached. 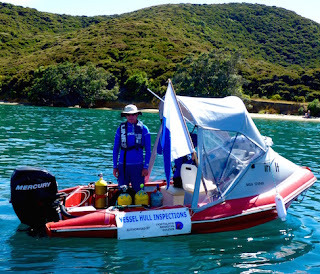 The motor boat displayed a "Vessel Inspections Authorized by Northland Regions Council" sign. We chatted pleasantly. The crew asked where we came from, where we checked in, where we'd been since arriving. We told them we checked into Opua about a month prior, and our boat was approved when we entered, clean as a whistle after a thorough cleaning in Tonga, and a touch-up at Minerva Reef. no Mediterranean fanworms seen on our hull. Whew! However, since we entered New Zealand, we were alarmed, and embarrassed by the opulent growth that's rapidly taken root upon our hull. Worse, it's radically slowed our cruising speed. However, a mix of jelly-fish, effluent-filled pea-soup marinas, cold or choppy water and general laziness made it all too easy to procrastinate. In fact, I'd made plans to for a simple dinner in order to have time to clean it that afternoon in Paradise Bay. "Do you mind if we send a diver to inspect your hull?" they asked, politely. "We're looking for marine pests; we're authorized contractors doing inspections for Northland Region Council" they explained. 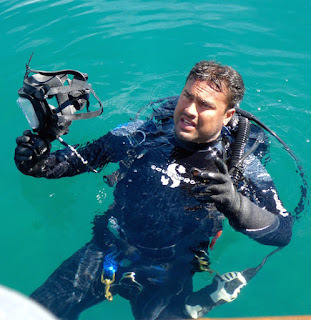 "Our diver will fill you in afterward on what's he's found." long white tubes on hulls. Image from NZ biosecurity fact sheet. The diver came up, holding what looked like a chunk of red shag carpeting. "Lots of this," he said. "Not a pest, though. We're looking for the Mediterranean fan worm [isabella sapallanzanii]. You're clear - didn't see any of those." When I let them know we'd planned on cleaning the hull ASAP anyway, they became alarmed. "No cleaning anywhere in the Bay of Islands," they emphasized, firmly. We agreed, letting them know we had no idea that hull cleaning in Bay of Islands was illegal. 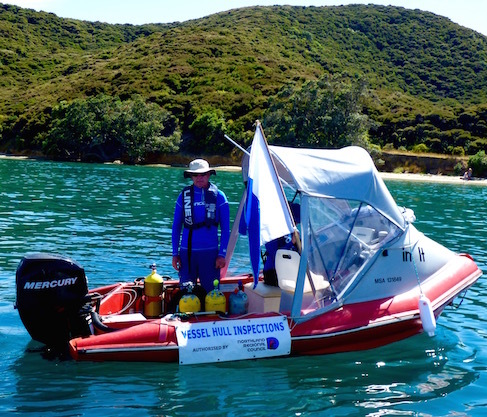 We planned to haul out in our boat in Whangarei within the month, and told the inspectors we'd just wait until then to clean the hull and re-anti-foul (a marine growth inhibiting hull paint) our hull. Two days later, when maritime radio's VHF weather report forecast gales, and we were getting strong gusts, we decided to delay our trip in Whangarei until the rough weather passed. We pulled into Tutukaka marina, the harbor well sheltered from the rough seas and gale winds. 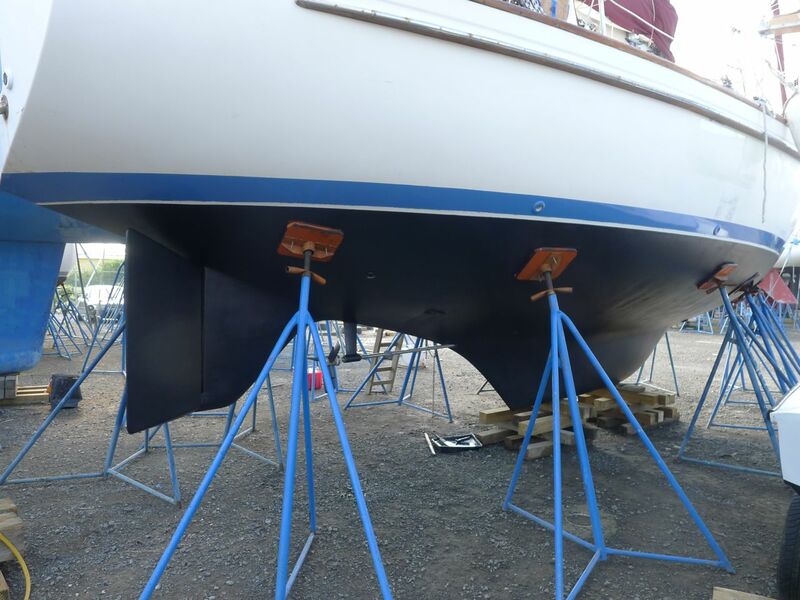 As their dockhand assisted us with our lines, he asked "Is your hull's anti-foul paint less than 6 months old? 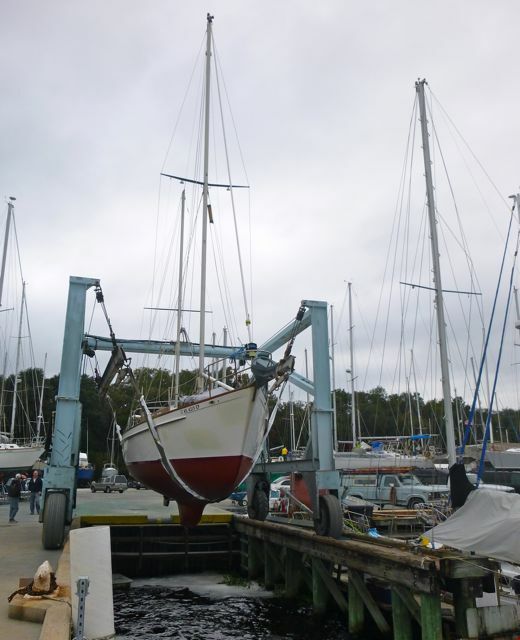 Or have you hauled out and pressure washed your boat in the last month?" Journey's first bottom paint job with anti-fouling under our care. This was in St. Lucia's Rodney Bay work yard. Most places, hulls get pressure washed and new anti-foul paint every two years. In between, cleanings are done in the water, typically, as we did in Tonga and again Minerva Reef. 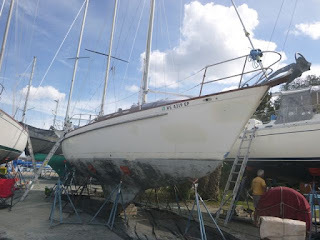 Our hull's last anti-foul painting was in November 2014, a little over a year ago, but with over 10,000 miles in tropical waters since, we weren't waiting another year before giving it a fresh cleaning and anti-foul. No, we explained, we checked into the country just a month prior in Opua, staying in the marina there, and they were satisfied we had a clean hull. I added we were also just inspected in Paradise Bay two days prior. "Did you get a certificate from them?" he asked. I hadn't realized it was something I should ask for, I replied, adding I had photos of their boat and diver. Bring 'em into the office, he suggested. Opua's pretty strict, so if they let you in, you should be ok here. Ironically, I complained, Opua's where we got what growth we do have! Wendy in the office, after hearing our story and seeing my photos agreed to accept us in the marina. The biggest incidence of fanworm issues are coming from boat from the South Island, notable Auckland. We'd yet to leave Northland. Journey's last hull anti-foul paint prep, bottom sanding. Jacksonville Florida area, November 2014. 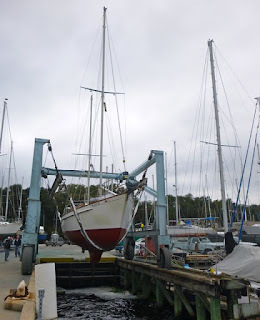 Relieved, we wondered "What do folks do since they can't clean their hulls here without hauling out?" "We used to have a diver do it here in the marina. That's no longer allowed. Now boat owners take their boats out to sea, and do it there," she told us. "In reality, I know despite all these efforts, it's just a matter of time. They'll drop off boats coming through, and eventually they'll be here too." We're glad we're getting our haul-out, cleaning and new anti-foul hull paint when we are in the late January timeframe. If we stick with our current cruising plans, we'll leave New Zealand by May, before we're required to undertake another costly haul out and repainting of our hull a second time to meet New Zealand's strict requirements. haul-out process, in Jacksonville Florida area. freshly repainted, she's about to be returned to the water. 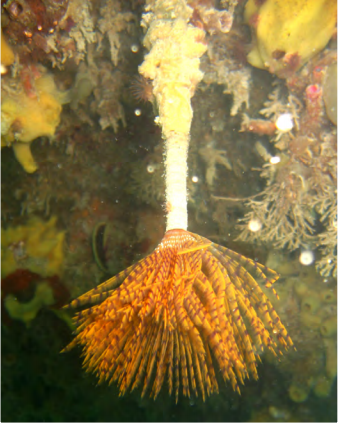 Despite the red shag carpeting of growth slowing down these last few miles to Whangarei, I'm glad I didn't unintentionally potentially exacerbate New Zealand's fanworm eradication efforts by cleaning my hull in Bay of Islands. Even though the diver didn't see any fanworms on our hull, who's to say for sure they didn't take root in Opua, hidden under the thick carpeting of other marine growth? This is a recent retrospective of our time on New Zealand's Urupukapuka island, December 29-30, 2015 (S35.13.076 E174.13.707), followed by our stay at Tutukaka marina (S35.36.622 E174.31.668). By the time this posts, we expect to be settled into Whangarei, scheduling our haul out. While in 2015 we sailed over 10,000 miles from Florida to New Zealand, since arriving here November 21, 2015, we're quite happy we've sailed about 150 miles -- most of it, motoring (;(). We're resume longer passages after cycle season ends in May, and will happily explore New Zealand overland or in short hops until then.